The very best pop music satisfies a craving. With bubblegum pop, the sugar rush can come on too strong and cause a mean crash. Trash pop indulges bacchanal desires, but can leave a hell of a hangover. 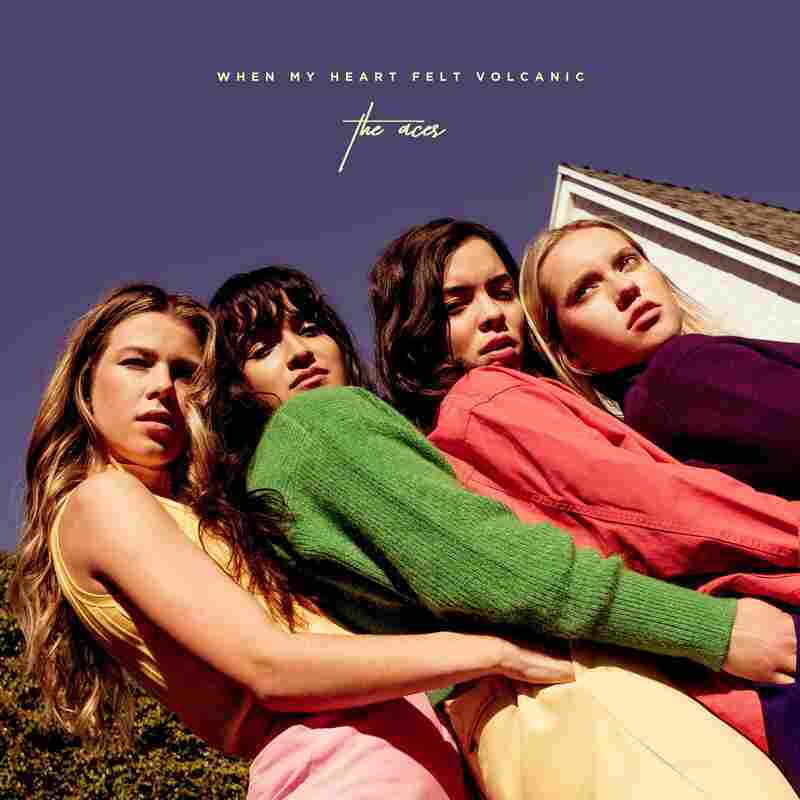 When My Heart Felt Volcanic, the Aces' full-length debut, is a pop confectionery, but there's substance to its sweetness: it's a shimmering statement of purpose, confident and controlled, constructed with care. Originally formed as The Blue Aces, vocalist and guitarist Cristal Ramirez, her sister, Alisa, on drums, guitarist Katie Henderson and bassist McKenna Petty first began performing together in their native Utah a decade ago. After years of refinement, last year's glittery '80s-inspired singles "Physical" and "Stuck" previewed the pastel-hued pop that's fully realized on When My Heart Felt Volcanic. 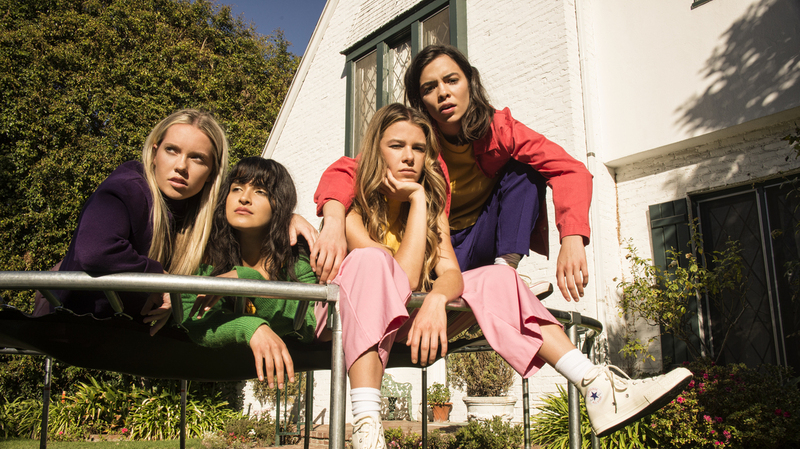 Across 13 tracks, the Aces' sound positively sparkles. Drawing from both past and present Top 40 proclivities, the record captures moments with clarity and detail. The breezy album opener "Volcanic Love" glistens as Ramirez draws out her syllables, articulating an overwhelming, all-consuming lust that lingers. Anchored by stable, unshakeable synths, the anthemic "Just Like That" details the demise of what once was with a slow build to its cathartic, kiss-off chorus. Closer "Waiting for You" slinks and slithers, waiting for impulses to be acted on, before its soaring crescendo. What the Aces accomplish on When My Heart Felt Volcanic isn't without precedent. "Bad Love"'s funky bass evokes the glitzy pop of The 1975. In "Fake Nice," Ramirez's punctuated delivery bounces off percussive bass in a way that feels indebted to Paramore's recent work. And the bright, breezy influence of HAIM's playfully cool sound is most clear on "Stay"; lyrically, its treatment of desire in the digital age ("Gotta send me pictures / Save 'em to my roll") is thoroughly modern and millennial ("If I change my number, you're the first to know"). Same goes for "Lovin Is Bible," a danceable gem that captures the foolish abandonment of flirtation ("We can paint our love all over town / Watch it go viral"). But throughout When My Heart Felt Volcanic, there's a timelessness to the construction. More than the sum of its parts or the sound of its influences, as a debut, it's a refined mission statement from a band with history. As massively-appealing pop music, the kind that's fit to be blasted from car stereos and sung along to at high volumes, it's a satisfyingly cohesive treat.